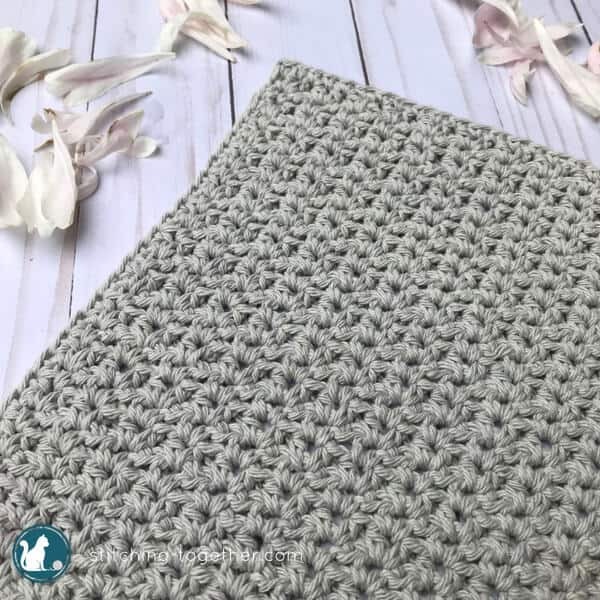 This day at the spa easy crochet washcloth pattern uses the new neutral – greige – the perfect blend of beige and gray. 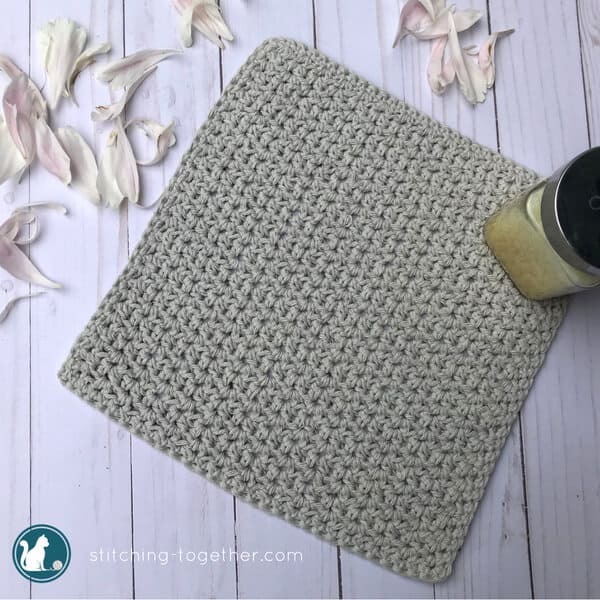 You can build your own at home spa kit with these 11 essentials perfect for a home spa – you know this spa washcloth is one of them! Sometime over the last 10 years we’ve gone from beige to gray as the hottest neutral color for your home, but now greige is popping up everywhere. Have you seen it? The greige yarn caught my eye while I was strolling through Michaels one day. (Of course I was in the yarn section.) Since I haven’t been able to find it online at any other retailer, I think the greige line might be an exclusive Michaels color. 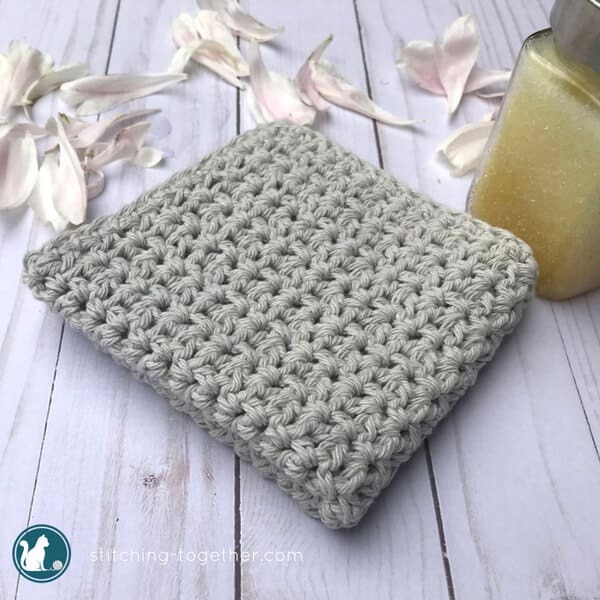 Although I love the greige color, this simple washcloth will look great in any neutral or bright tones. Being able to customize your colors is one of the best things about making your own washcloths! 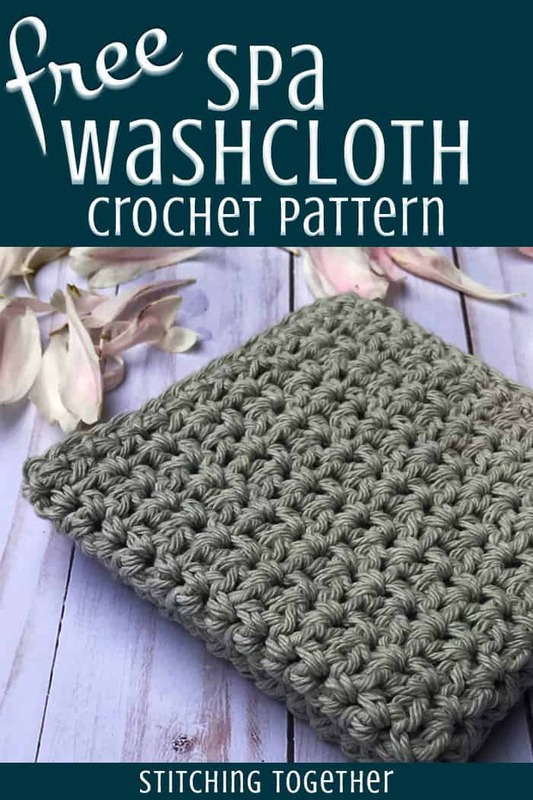 The easy crochet washcloth pattern uses a half double crochet v-stitch. I love v-stitches for the versatility and texture they give the fabric. The hdc v-stitch gives a bit more of an open and flexible fabric than the spider stitch (a single crochet v-stitch) like was used in the Crochet Country Dishcloth. If you struggle with stitch placement as you are working on the v-stitches, check out the how to crochet the V-stitch tutorial. Although that was written for double crochet v-stitches, the stitch placement and general idea are still the same. Repeat Row 2 for a total of 29 rows. Border: sc around all four sides of the washcloth. Weave in ends! 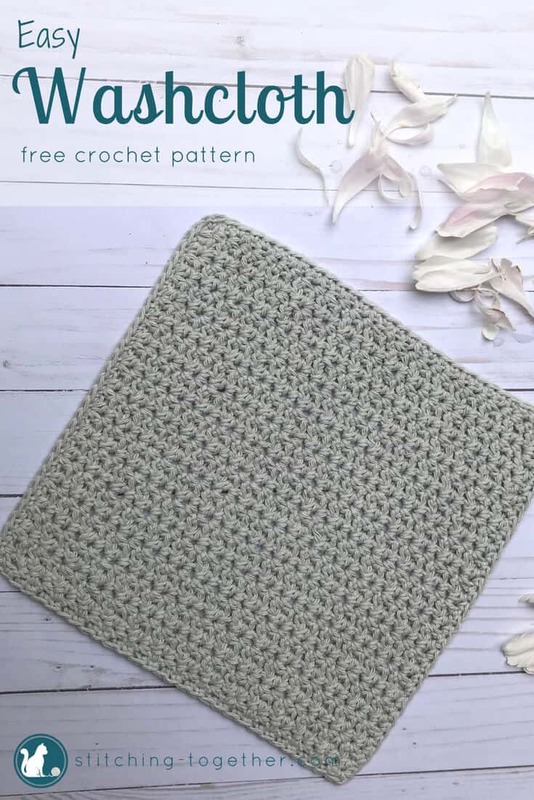 Don’t you think this easy crochet washcloth pattern will be perfect to use for craft fairs this summer? If your inventory is getting a bit low, these are quick to whip up and replenish your stock! 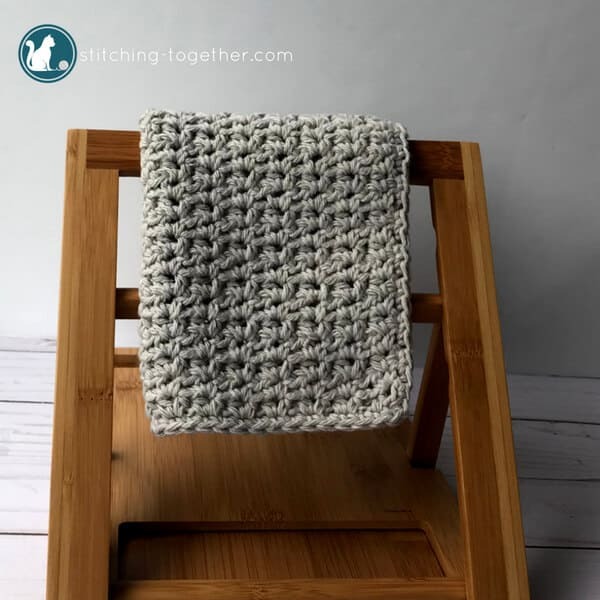 When you use this easy crochet washcloth pattern, I’d love to see your finished work! Tag me on social and use #stitchingtog to show off your makes! Don’t forget to check out these 11 essentials to build your at home spa kit!